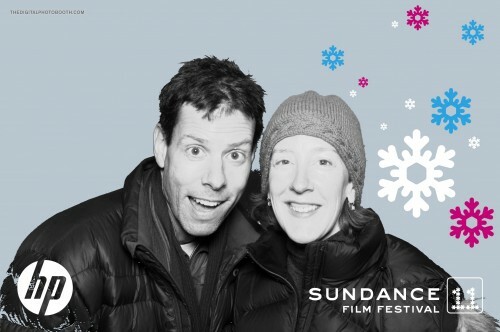 Tracy Sheeley's been watching movies (ahem, "attending screenings") at the Sundance Film Festival, that week-long parade of celebrities in Yeti boots which is held in her hometown, Park City, Utah, each winter. "I fit right in," she jokes. She and beau Rich Joss caught the world premiere of On the Ice the other day. It's the first feature-length offering by Iñupiat filmmaker Andrew Okpeaha MacLean. MacLean's film takes place in Barrow, Alaska, the northernmost community in the U.S., and MacLean's hometown. On the film's website, MacLean describes Barrow as "a place of limitless expanses of land, sky, and ice that paradoxically can evoke a crushingly claustrophobic sense of isolation." (We imagine Tracy may very well feel the same way wandering around Park City with the glitterati this week). The plot of On the Ice involves two boys, teenagers, one of whom accidentally shoots a third friend during a seal hunt when a disagreement turns into a fight. The boys try to keep the truth of their friend's murder from the community, which spins up all kinds of other trouble. As much as it's a coming-of-age story, it's "a story of how a village and a people react to tragedy," writes MacLean.